5/8" Thickness. 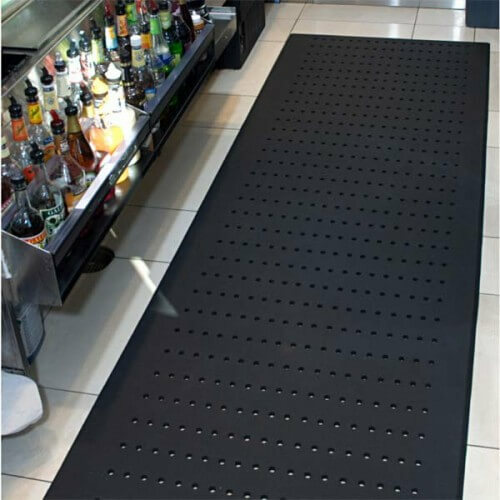 Complete Comfort is a lightweight, yet incredibly durable and chemically resistant anti-fatigue mat for heavy use areas! 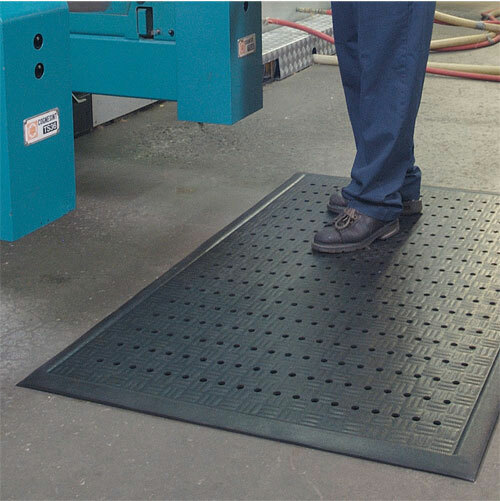 This extremely dense Nitrile/PVC expanded foam mat gives the customer exceptional anti-fatigue relief without crushing. 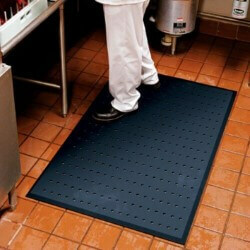 Complete Comfort is Anti-Static and Grease Proof, making it a perfect mat for Food service applications as well. 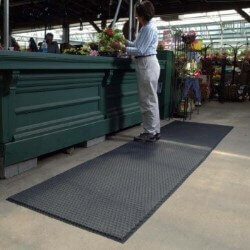 Complete Comfort is available with or without drainage holes and may be used in wet or dry environments. All edges of Complete Comfort are beveled presenting the best safety precautions. 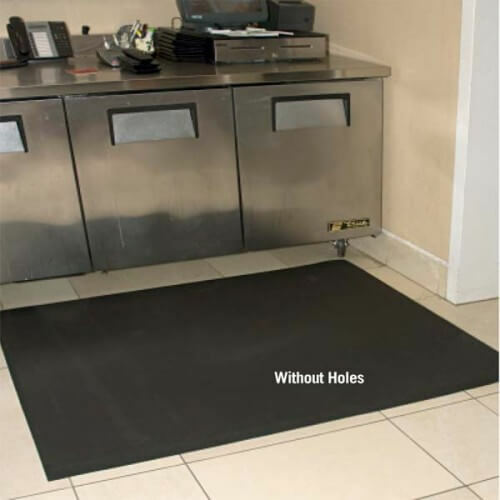 This ergonomically superior anti-fatigue mat is available in 5/8" thickness in 3' and 4' widths up to 75' in length. Production time: 3 to 5 business days. Custom Sizes and Runners Up to 75' in length available in 3' and 4' widths. For pricing and ordering information email or call us. 1. 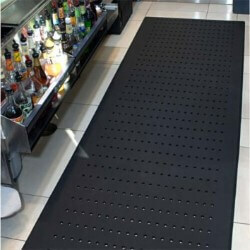 Ergonomically superior anti-fatigue mat. 2. 100% closed cell Nitrile Rubber Construction. 3. 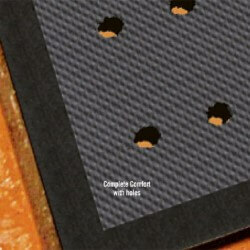 Textured surface for superior slip and skid resistance. 4. Beveled edges for easier floor to mat transition Light weight and easy to clean. 5. 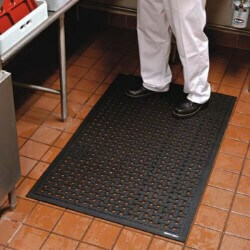 Anti-microbial treated, slip resistant surface is grease, oil and chemical resistant. 6. Available with or without drainage holes. 7. Available in 6 standard sizes in 3' or 4' widths up to 75' in length. 8. Recommended for use in warehouses, picking lines, assembly lines, work stations, check out stations, labs or other wet or dry environments.